Remember this pair of beautiful Guy Laroche watches I got some time back, for my pretty mumsy and myself? When it comes to picking watches, I always go for simple, classic styles, like this Guy Laroche design (L5004-07) that comes in Silver and Rose Gold. A watch is much more than just a time-keeper. 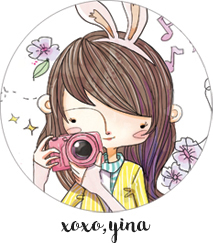 It is a fashion accessory, that is part of a larger look. This means that while a watch not only needs to fit with my whole ensemble, but it should also not draw too much attention to itself so as to detract from the overall effect. Regardless of my outfit, my lovely Guy Laroche timepiece never fails to add an elegant touch to my ensemble! I especially love how the sophisticated Rose Gold timepiece matches each and every one of my outfit so well. Valentine’s Day is coming up, and this is the perfect opportunity to get your man and yourself a special little something! YZ is actually really into couple wear and I know he’d love a set of couple watches! I know many people find couple wear just a tad on the cheesy side, but I secretly think it’s really cute too hehe. So I’m really excited to share that Guy Laroche is having a special promotion for the Guy Laroche Même couple watches set! These couple watches feature stainless steel watch casings and dials, paired with stainless steel bracelets in a classic, timeless design! It’s super gorgeous! Guy Laroche watch (L2012-03), for the ladies, comes with a feminine mother-of-pearl dial while Guy Laroche watch (G2012-03), for the gents, features a small date window at the six o’clock position. 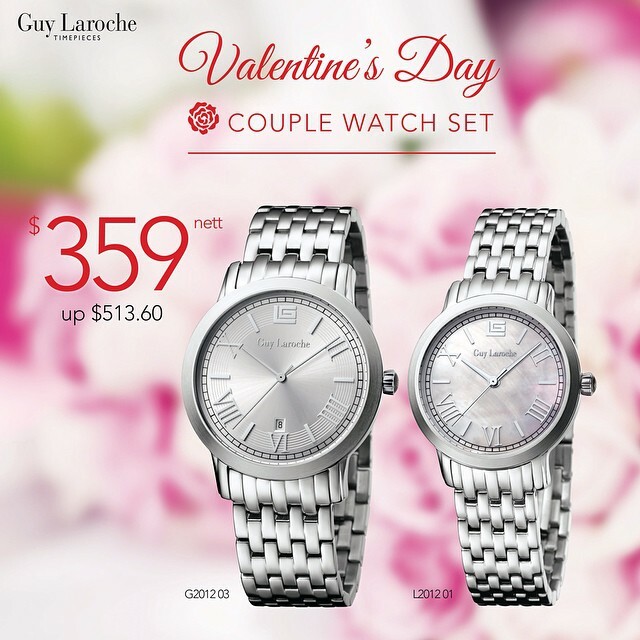 Now available at selected Guy Laroche retail stores at a special price of $359 nett for the entire couple watches set! On top of that, if you’d like to purchase any Guy Laroche timepiece for yourself, just quote “Guy Laroche with Yina” to enjoy a 20% discount on any regular priced Guy Laroche Timepieces at OG Orchard. Follow @guylarochewatches_sg on Instagram & like Guy Laroche Watches on Facebook so as not to miss out on upcoming watch promotions and special watch giveaways! Previous Post Done is better than perfect.